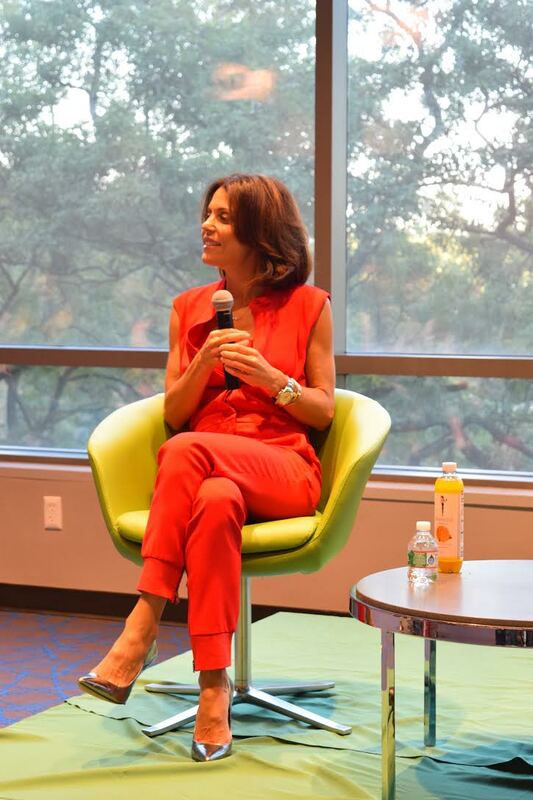 Bravo reality television star Bethenny Frankel led off the Fourth Annual Lecture Series on Mon. Sept. 14. The star of “The Real Housewives of New York City” captivated the Great Room of Kelly Commons with stories about the show and tips about how to be a good entrepreneur. Donning a bright red BCBG jumpsuit fit for the Skinnygirl logo itself, Frankel held the audience’s attention with her lively energy and blunt humor. Creator of the Skinnygirl brand, Frankel has amassed a cult following of people looking for low calorie alternatives to non-alcoholic drinks, snacks and salad dressings. While she owns all of these aspects of the Skinnygirl brand, in March 2011 Frankel sold Skinnygirl Cocktails to Fortune Brands’ Beam Global for $100 million. During the lecture, Frankel stated that not selling the rest of her brand was the smartest thing she has ever done. The author of four books, host of the talk show “Bethenny” and finalist on “The Apprentice: Martha Stewart,” Frankel has created an empire and is not afraid to give advice on how to follow in her footsteps. Frankel has formed a dedicated fan base that watches her every move on the show. On the show, and in person, Frankel is very real and very raw. She tells it like it is and is not afraid to open up about her difficult childhood, which was filled with an unstable home life, her parents’ divorce and her mother’s alcohol abuse and battle with depression. “Stamina and drive pushed me past my past,” Frankel said. Viewers of the show are able to hear about her past, and then watch her be triumphant. This makes her very relatable and admirable. “She’s very similar to how she was this past season of the ‘Housewives,’ just very real,” Volovski said. On what is next for Frankel, fans can expect three more books from her, one being a book about business, and her possible return to “Real Housewives of New York City” for the eighth season.